Direct Sportslink secured Bobby Hull and Gordie Howe for the Herb Brooks Foundation Gala. Bobby's appearance helped make the event a huge success. He joined Gordie on stage for a Q and A after his speech and shared great stories from his playing days. It was an amazing event with true hockey legends present to help raise money for the HBF. It was a great pleasure working with Direct Sportslink. They made my job of planning the Herb Brooks Foundation gala much easier with their expertise, ideas and organizational skills. Direct Sportslink was able to secure our speakers (Gordie Howe and Bobby Hull) in a timely manner, and they even came to our event to ensure the success of our gala! I will definitely work with them again, and I now consider Ward Headley, President of Direct Sportslink, a great new friend. Thank you. A Bobby Hull personal appearance, Bobby Hull speaking engagement, or Bobby Hull endorsement will reflect well on your company. To hire Bobby Hull now for any corporate appearance, fundraiser, motivational speaker event, personal appearance, autograph signing, or website endorsement please contact our celebrity agents at 1-877-6-SPORTS. We will contact Bobby Hull or contact Bobby Hull's agent and provide you with the booking fees and availability immediately upon your request. Direct Sportslink is the only sports speakers bureau and talent booking agency based in the United States securing only sports talent for corporations, associations, and organizations for motivational speaking engagements, personal appearances, and endorsements. We are the premier sports celebrity booking agency and a sports celebrity procurement expert. Accordingly, we will provide you with any relevant Bobby Hull website information and booking agent details so that you can hire Bobby Hull for your next event. Bobby Hull, known as the 'Golden Jet", led the Chicago Blackhawks to the Stanley Cup, in 1961 - their third ever and first in almost 30 years. Although he originally wore number 16 then wore number 7 when the Hawks won the cup, he later switched to number 9, considered the prestige number in hockey. 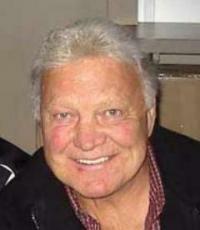 Bobby Hull was famous for the speed and accuracy of his 120 mph slapshot, that many others would soon try to imitate. Hull was able to have such a fast slapshot because he and his teammate Stan Mikita were the first NHL players to curve the blades of their sticks. The curved blade allows the shooter to remain in contact with the puck for a longer period of time and increase the force behind the shot. In 1966, he became the first NHL player to score more than 50 goals in one season, earning a 7-minute standing ovation for his 51st goal. 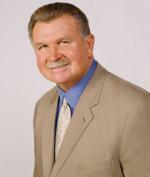 He played 23 professional seasons in hockey from 1957 to 1980, scoring 672 goals. He has numerous NHL awars; won the Art Ross Memorial Trophy as the NHL's scoring champion three times; (1960, 1962, 1966), twice voted the Hart Trophy as the league's most valuable player; (1965, 1966) , ten times he was named to the NHL's First All-Star team. (1960, 1962, 1964, 1965, 1966, 1967, 1968, 1969, 1970, 1972), twice named to the NHL's Second All-Star Team; (1963, 1971) Inducted into the Hockey Hall of Fame in 1983. A member of one of the great families of hockey, his son, Brett Hull (the Golden Brett), starred in the National Hockey League and his little brother, Dennis Hull, played alongside him for the Chicago Black Hawks. His son Brett, wore his father's retired #9 for the last five games of his career. Based on your interest in Bobby Hull as a speaker or for a personal appearance, Direct Sportslink has provided you additional links below for other sports talent with similar appearance fees, speaker topics, and categories that match Bobby Hull.